Nectar Sleep is one of the most intriguing mattress companies we have evaluated. 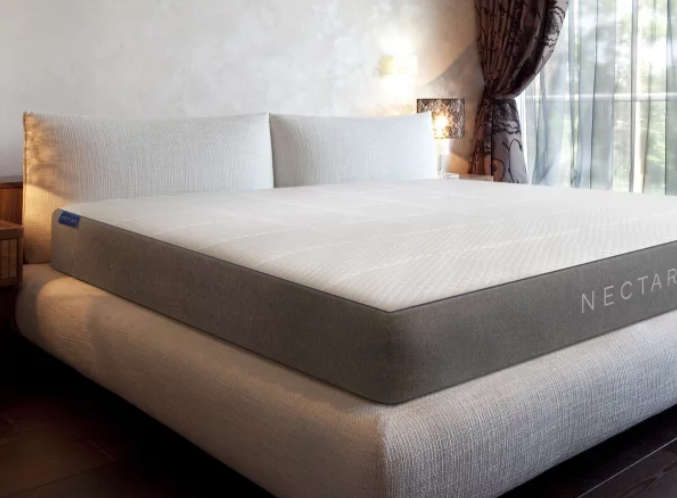 Nectar builds their mattress with premium, high density memory foam. Instead of polyurethane, vegetable based material is used. Natural adhesives are produced using organic sources such as vegetable starch (dextrin). The result is a safer, more eco-friendly mattress. Nectar is designed to sleep cooler, last longer and be priced lower than the competition. Try To say that Nectar is pretty confident you will love their mattress is a bit of an understatement! The unprecedented one year comfort guarantee and forever product warranty are game changers. Who does that? Try shopping at a retail store and asking for the same kind of assurances and watch them laugh. Then watch their expression change when you tell them about Nectar! ​Designed for superior breathability, This fabric wicks away heat and circulates fresh air to the layers below. It also naturally resists bedbug infestation. 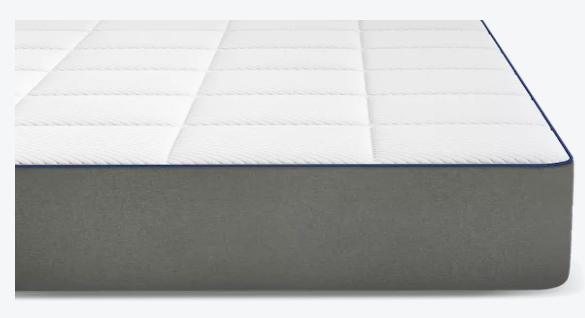 Quilted Gel Memory foam provides additional Loft. Results are a softer, more forgiving feel that is very pressure relieving. This material is also breathable and aids keeping you cool. 1" of 4 lb. semi-open Memory Foam: Nectar uses premium gel memory foam that is typically used only for medical purposes. This second layer does a wonderful job of keeping you cool and supported. 3" of 3.5 lb. 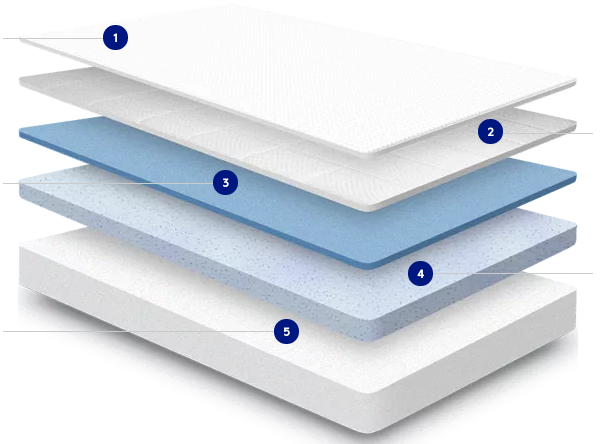 Memory Foam: This inner layer provides additional contouring, pressure relief and medical grade cooling. 6" 2.2 lb. Base foam is significantly denser than most competitors. Typical industry range is only 1.5 - 1.8lb. The increased density results ai a more solid foundation for the mattress; increasing support and longevity. It's another reason Nectar feels so confidant with their forever warranty. Nectar uses vegetable-based foams that are Certi-Pure certified to be free of toxins. Medium Firm: This mattress is ideal level of firmness for most back, stomach and some side sleepers. Soft enough to lessen pressure points but firm enough to maintain proper alignment. Free delivery: Shipping is free within the continental U.S. Deliveries are currently taking around 3 weeks to arrive. One week to process, and another to deliver. The wait is a little longer than most competitors, but Nectar provided this explanation for the delays: "We experienced a delay with our Distribution Center due to high volume demand, which caused most orders to be delayed from the original shipment date. The issue has been corrected and we are working on getting all deliveries out as soon as possible." All things, considered, it's a good problem to have! Rapid growth often leads to growing pains. Take it as a positive sign! Delivery is free to your door. The mattress comes conveniently rolled in a box for easy transport. But, If you require White Glove delivery, full in home set up and removal of your old bedding can be provided for $169. Again, another game changer! Take one full year to decide if you love your mattress or not. If you decide to send it back, Nectar will pick it up for free and give you a full refund on your original purchase price! This is a well spec'd mattress at a great price. The warranty and and comfort guaranty are out of this world! So, whats not to like? To be clear, we are not saying this is a high end luxury mattress. It is however, an exceptional value. The real beauty here is that Nectar is almost daring you not to like the mattress! They're betting you will; and we are too! High Density Memory Foam offers great pressure relief and conformity. Reduced Motion transference: couples will appreciate not being awoken by their partners movements. Sleeps cooler than most memory foam mattresses. Medical grade cooling gels keep you cool and comfortable. Low Price: Nectar is very reasonably priced for the quality you receive. This is one of the better "values" we have found. Nothing to loose: The incredible 365 day comfort trial and the forever warranty make this mattress an easy purchase decision. Ease of movement: As as the case with most memory foam mattresses, ease of movement may be an issue for some. Unlike an innerspring mattress, you tend to sleep in a mattress, not on it. The Nectar mattress was designed to have a bit more bounce than most memory foam offerings. For this reason, ease of movement may not be as much of an issue. There is some slight off-gassing for up to 3 days due to the mattress being compressed in plastic. This may or may not be discernible. Either way, there are no dangers posed. Nectar uses vegetable-based foams that are Certi-Pure certified to be free of toxins. Is Nectar right for you? Nectar has it all... Quality, price, service and and the best warranty in the industry! Try it for yourself today! THIS MATTRESS WILL SAVE YOUR BACK! I am definitely happy with my purchase. I wanted a memory foam mattress and after shopping at multiple stores decided to go with an online provider. I compared Nectar with the other online memory foam mattresses and decided to choose the nectar based on the 365 night trial and the warranty. So far so good. It is definitely more comfortable and a better deal than anything I have seen in stores. I’ve only slept on mattress a few nights but other than slightly slow shipping (about 3 weeks to arrive) it is as advertised. The mattress is not what I’d consider medium firm, it’s more medium than firm (I do like a firm mattress) but it is not soft either. My wife and I have spent a few nights and no sore back yet. It arrived and unloaded easily with provided tool to cut plastic. Pillows shipped with mattress. We unloaded and unrolled it. After about 6 hours on bed we slept on it but didn’t completely make bed. We waited until second night for that. Took 3 nights to pretty much air out from odor. For the price it seems to be a fair deal. It’s not a $2000 bed, but that’s not what we paid. I’m satisfied with the quality. Hopefully the longevity of mattress won’t be an issue. I do wish it was a bit more form though.